When you find yourself in desperate needs of credit card debt relief, then it is time to consider enlisting the help of a credit card debt relief company such as Consumer Credit Card Relief (CCCR). How do you end up with credit card debts? First and foremost, credit cards are very helpful in life. They help you to manage your finances in an easy and intelligent manner. You don’t need to carry around bulky cash when traveling if you have a credit card. The cards are also very useful and convenient when shopping or paying bills online. There are numerous benefits of using credit cards compared to physical cash, which you may not have every time you need to pay for something you really need. However, it is quite possible to find yourself spending more inadvertently when using a credit card. Many credit card companies entice consumers to get their credit cards by offering freebies including T-shirts and music CDs. What follows is the acquisition of multiple credit cards that you may not be able to manage efficiently. Sooner or later, your credit card bills will amount to a stage where they’ll become unmanageable. If you have a poor credit history, then the scenario is even more intimidating. Credit card companies will hound you endlessly for all their outstanding payments and interest on what you owe as well as late payment fees. Fortunately, your credit card debts should not be very stressful if you know the right tools and resources to manage the debts. The first step is obviously to get your financial situation straightened out by reducing your credit card debts. If you are already swimming in credit card debt, you should seriously consider reducing the debt by requesting the credit card companies to consider a debt settlement negotiation. A debt settlement negotiation seeks to help you pay off the debt for less than you actually owe. Unfortunately, the companies will most likely turn down your request when you try to negotiate on your own. They are in the business of making money and will not be very welcoming to your idea of paying them less than you owe. The best possible option is to enlist the services of a reputable credit card debt relief company who’ll negotiate on your behalf. 1- A credit card debt relief company helps you to negotiate for lower payoffs on your credit card debts. The key objective is to negotiate with all your credit card companies on your behalf. They’ll negotiate a new and much lower amount that you can afford to pay, saving you money in the end. If a settlement is successfully arrived at, you’ll pay much less than you initially owed and save a significant amount of money in the long run. In return, you’ll pay monthly settlements to the company who’ll then pay the credit company. At CCCR, you’ll only be charged 35% of what you save. 2- The credit card debt relief company will leverage the debt of several individuals and negotiate with the credit companies on their behalf. When you try to negotiate individually, you’ll be turned down but the credit card debt relief company brings to the table a good number of debts and will most likely be listened to by the lender. For example, the credit card company will not negotiate with a single individual seeking a reduction of their $5000 debt but will negotiate with a company representing 10 cases with a total of $50,000 credit card debts. Credit card companies will agree to a deal that brings in a positive cash flow of a significant amount of money that would most likely have been lost in debts just for releasing a percentage of the debt. 3- When the deal is struck, your debt is reduced, the credit card company will no longer haunt you with calls and debt collection threats while the credit card debt consolidation company earns an average of 35% of the money they helped you to save. Keep in mind that you’ll still make monthly deposits of an amount that you can afford towards the funds that the debt consolidation company used to negotiate with the credit card company and the fees involved. At CCCR you are charged a fee based on the negotiation success, which is equal to 35% of the amount the company saves you. Enlisting the help of a credit card debt consolidation company helps you to get out of credit card debt easily but it is not an instant solution since you still have to make monthly payments. Most people wrongly think that once you sign up for credit card debt consolidation services, you’ll get debt relief without having to do anything further. This is not the case. You’ll still have to make monthly payments for the now reduced debt but in smaller amounts that you can afford to pay. Meanwhile, the credit card company will no longer harass you in any way possible. What are the benefits of working with a credit debt relief company? 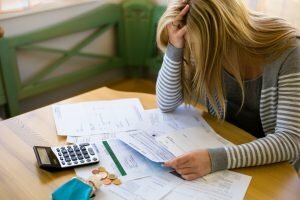 Let’s take a look at some of the many ways a credit card debt relief can help you overcome your credit card debt woes. 1- If you’ve come to the end of your wits in managing your current credit card debt payments, the credit card debt consolidation company will negotiate with the credit card company on your behalf for a new and better deal that will be easier to pay. You’ll not only manage to pay off your debts in an easier and manageable way but save money in the long run too. 2- The credit card debt consolidation company will negotiate for reduced interest rates. Your debt may have accrued high-interest rates over time including late fees and High-interests. High-interest rates are the reason why many people find it difficult to manage their credit card debts. A reputable credit card debt company such as CCCR will negotiate with the credit card company for reduced interest rates and other fees. You’ll end up paying less than you initially owed. 3- After a successful negation and settlement process, you’ll be paying lower monthly installments that you can afford to pay. Lowering your monthly payments will benefit you in many ways especially when you need enough cash to take care of your day to day expenses such as food and utilities. 4- A credit card debt relief company will also help you eliminate the stress and anxiety of having credit card companies on your back 24/7. At CCCR we take care of your credit card debts to give you peace of mind and ensure that you rest easily at night. You’ll no longer have to worry about calls or notices from bill collectors but sleep well in the knowledge that your credit card debts are in good hands. All you’ll need to do is to pay affordable monthly payments towards the reduced credit card debt amount. 5- If you have a poor credit history, then signing up with a credit card consolidation company for assistance in getting rid of your debts is less harmful to your credit score than filing for bankruptcy. A bankruptcy carries more serious consequences to your credit score than negotiating for debt settlement with the help of a reputable credit card debt consolidation company. By law, a credit card relief company should not charge you upfront fees when taking over your case. At CCCR, you’ll be charged a fee after successful completion of the negotiation of the debt settlement process. You’ll only be charged 35% of the amount of debt the company has helped you to eliminate. If you are going through the nightmare of credit card debts, sign up with Consumer Credit Card Relief (CCCR) to learn more on how CCCR can help you manage your credit card debt in an easy and convenient way.